I, Zeb the Duck, love to visit during an Open House. Saturday we went to Women’s Bean Project in Denver. I like this already. Humans, let’s go! We met some human friends here. Now we are all going inside. What is Women’s Bean Project? 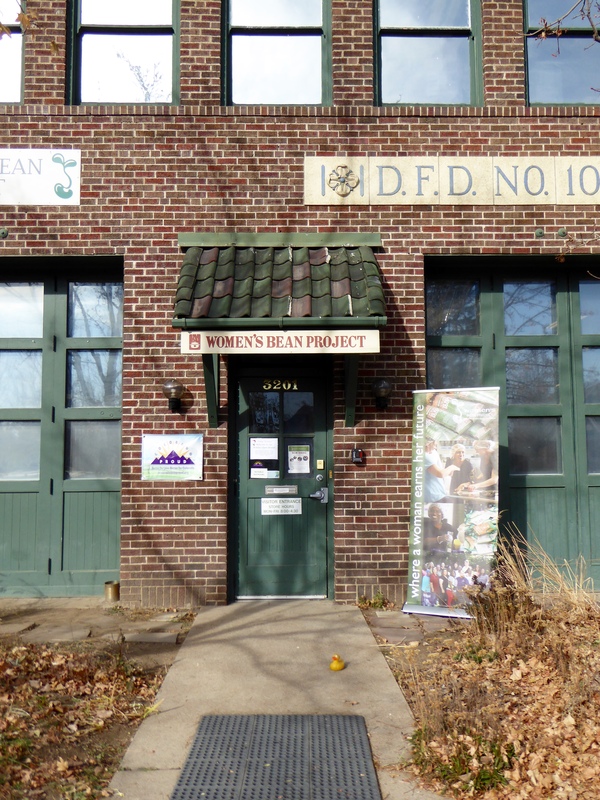 According to their website, “the mission of Women’s Bean Project is to change women’s lives by providing stepping stones to self-sufficiency through social enterprise.” Women in the program learn gourmet food and handmade jewelry manufacturing. During this open house, we meet employees and program participants. 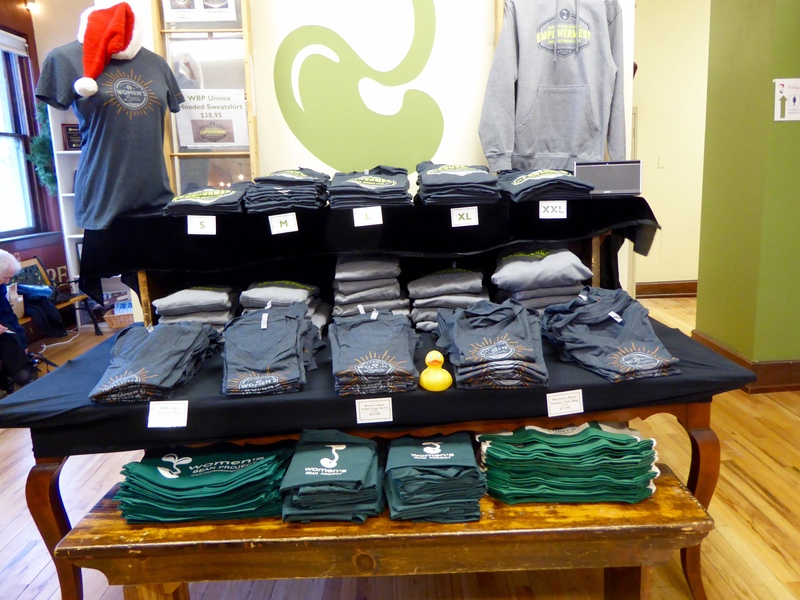 Also on display are items made in Denver and available to purchase. 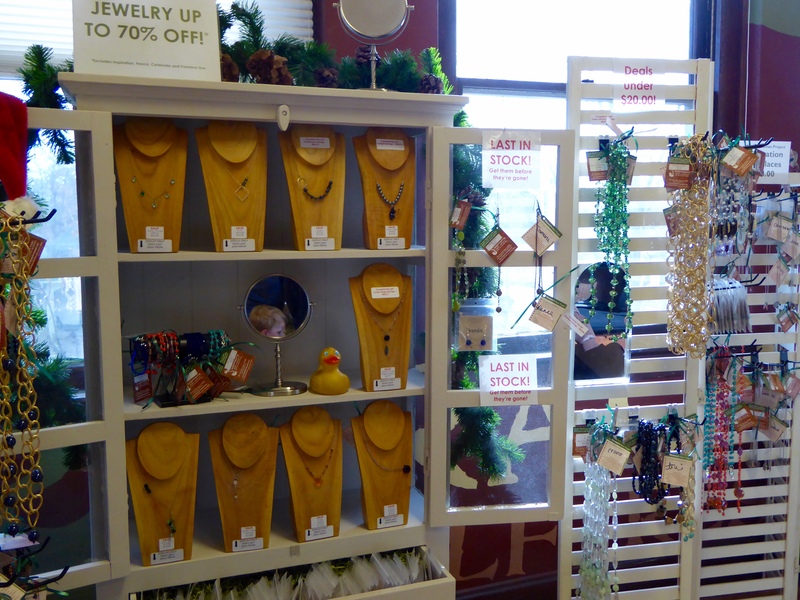 Here is some of the jewelry made here and offered for purchase today. The women also provide and package ingredients for making cookies at home. 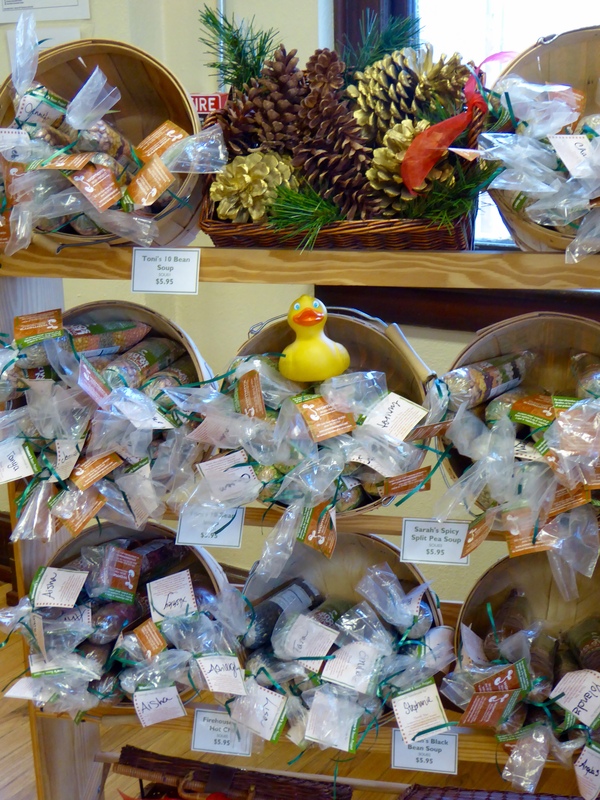 I, Zeb the Duck, love cookies, so we purchased a couple bags of cookie mix. The tree makes the room very festive. 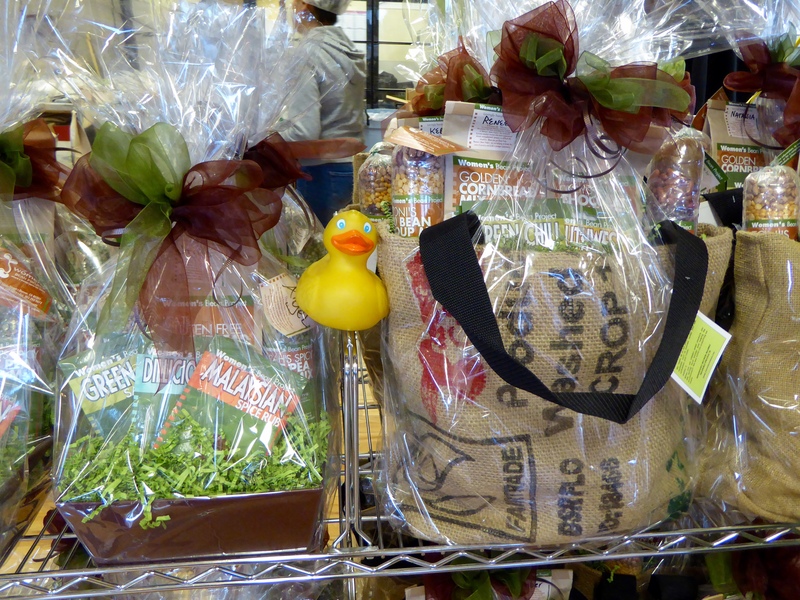 Here are baskets, ready for you to give to friends this Christmas. We did not purchase a basket, but the Malaysian spice rub caught our attention, so one of those did come home. A rather large selection of spices for rubs and dips tempted everyone. 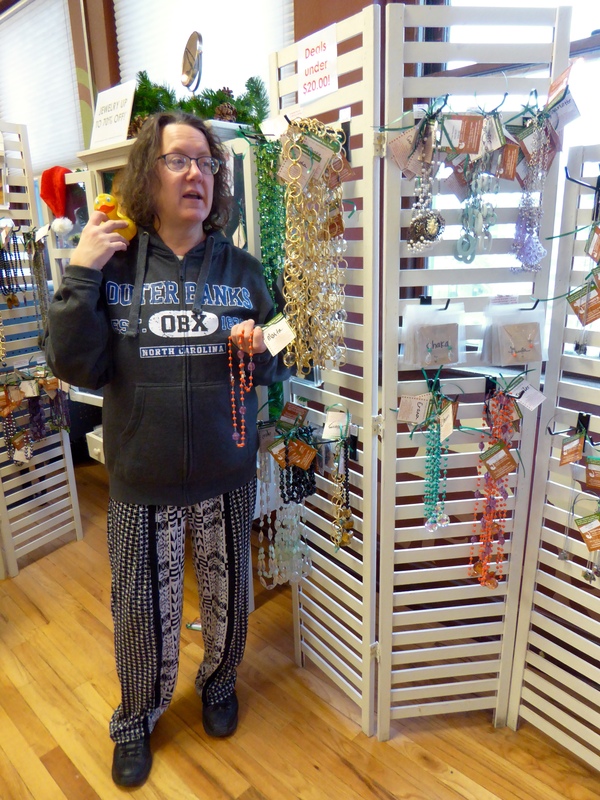 In addition to preparing the food mixes and making jewelry, the program participants have classes in interpersonal and life skills needed for employment. In Denver, Women’s Bean Project is known for delicious soups. This is a sample of what was available for us at the Open House. 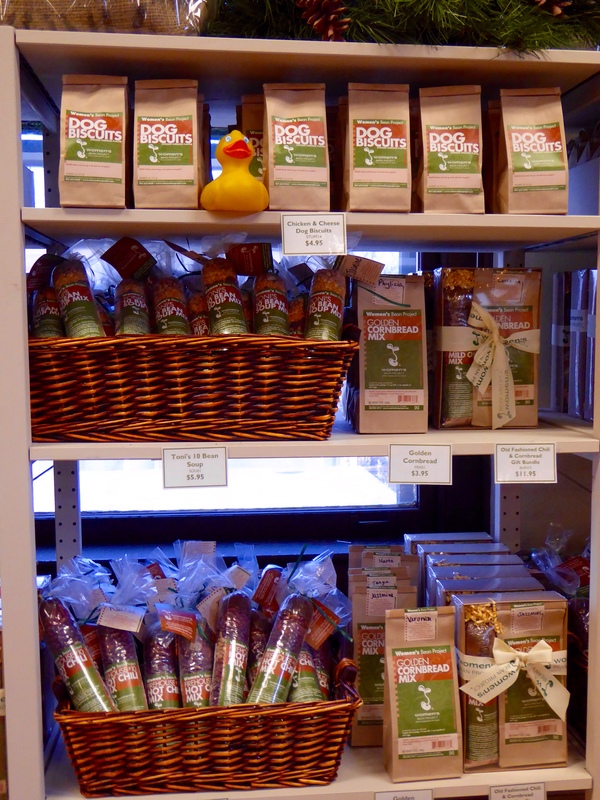 And, even more choices, including dog biscuits. 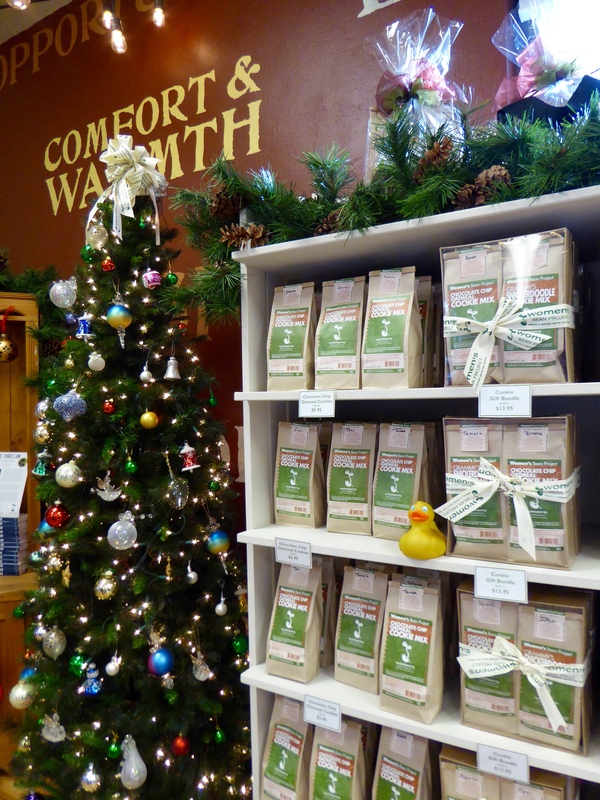 You could complete most of your Christmas shopping today at Women’s Bean Project. Even if you are not hungry, or not tempted by the food choices, perhaps a shirt or reusable, cloth shopping bag? 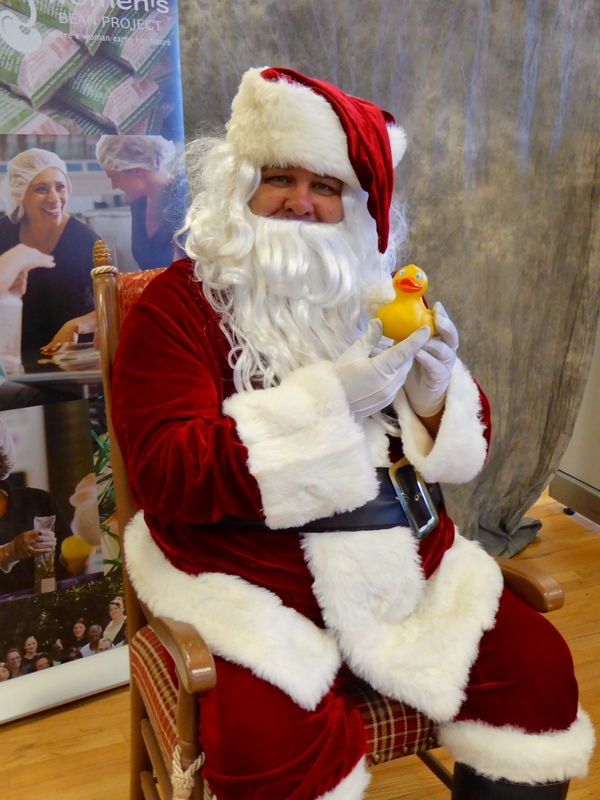 Christmas will be here in a few weeks, so I, Zeb the Duck, stopped to chat with Santa. Perhaps he will answer this duck’s Christmas request? The Women’s Bean Project started in 1989, when Jossy Eyre was working with women in a shelter. Purchasing $500 worth of beans, she put homeless women to work making bean soup. That was just the beginning of a successful program that has helped thousands of women. During the open house, I was happy to see my friend, Marta. She is a program participant. The cookie mix we purchased was made by Marta. The women put their name on the packages they made, so we know we have Marta’s cookie mix. Every time we eat snickerdoodle cookies, or chocolate chip oatmeal cookies, we will think of Marta and how proud we are of her success. For more information visit http://www.womensbeanproject.com You may also purchase their products at this website. At the open house, we sampled several food items, and they all were delicious. Get some and give your taste buds a treat. 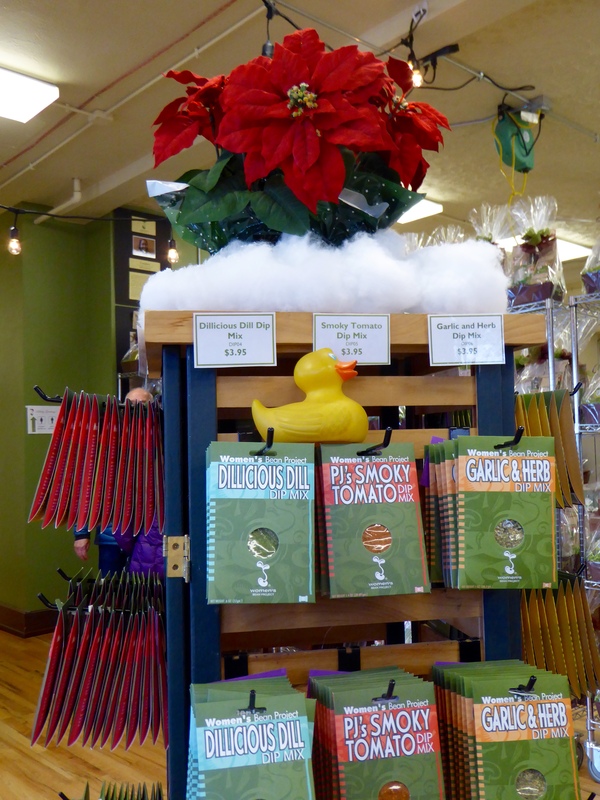 This entry was posted in Colorado, Uncategorized and tagged Colorado, Colorado Traveling Ducks, cookie mixes, Denver, gift bags, Marta, soup mixes, spices for rubs and dips, Women's Bean Project. Bookmark the permalink. So many successful stories have come from the Women’s Bean Project. It is one of the nonprofits that really make a positive and visible difference. 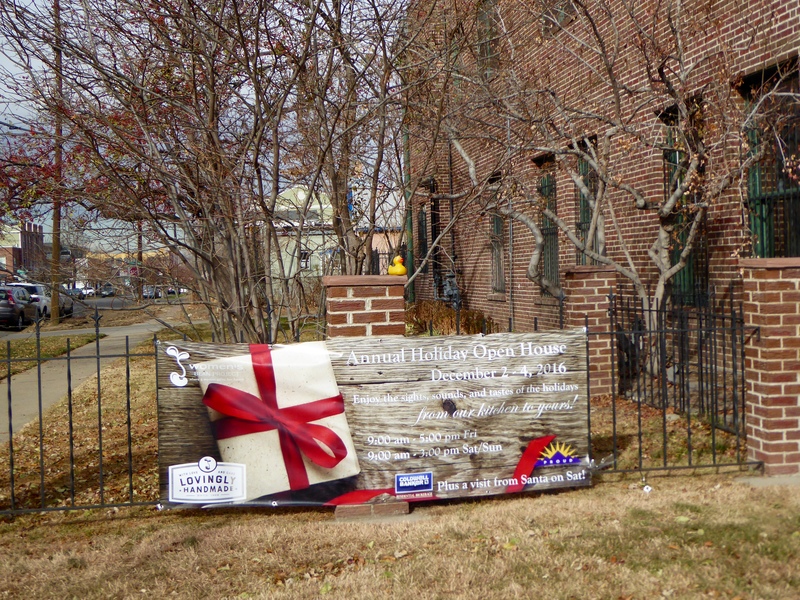 Thanks, Zeb, for sharing your visit to their Open House. The products were great and the people so open and helpful. We enjoyed being there and purchasing mixes to support this organization. Thanks for reading and commenting. This is an excellent project. Their soup mixes are delicious. We do not eat much soup, but everything we sampled was delicious. Looking forward to baking the cookies. Thanks for reading and commenting. How nice to read of this successful project. I really like finding places like this where I’m supporting local people instead of big chain stores. The open house was good and we feel good about purchasing directly from them, also. Thanks for reading and commenting.